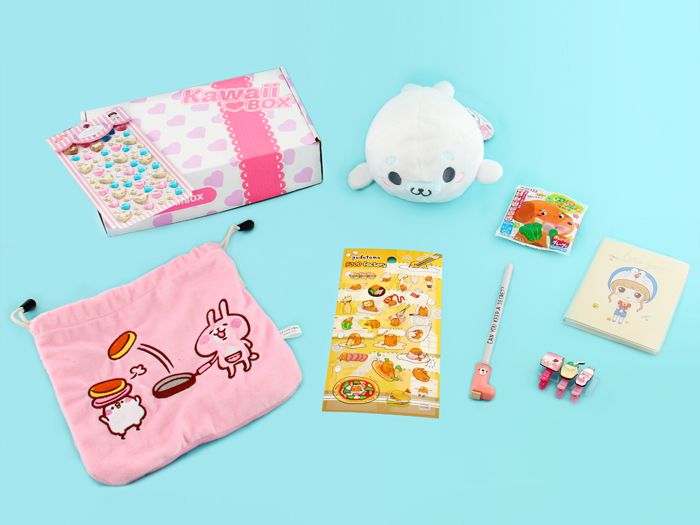 All this kawaii stuff from the November’s kawaii monthly box will surely boost your mood during the darkest winter months. 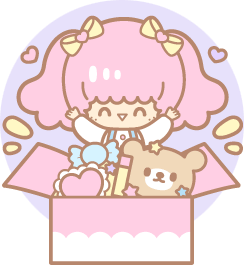 The Techi Techi Gomarachi Plushie was so big, that it barely fit the box! Kanahei is one of our most requested characters and Gudetama has been super popular for a while already. 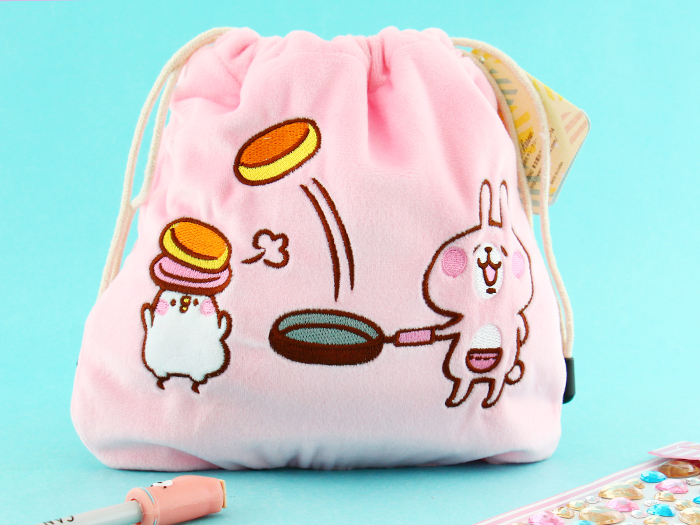 ▲ On this cute and fluffy Kanahei drawstring bag, you find Usagi and the bird Piske. Store your small items in this lovely and super soft drawstring bag! The material is so soft that you want to bring it everywhere you go! ▲ Amuse‘s Techi Techi Gomarachi Plushies are so adorable! The seal pup is made from very soft material and the seals are so cute that you just want to hug them! ▲ Gudetama is a lazy egg that doesn’t like exercise or leaving his comfort zone, the egg white! This lazy Sanrio character’s name is a wordplay on “gude gude” which means someone that has no strength or energy, just like Gudetama! 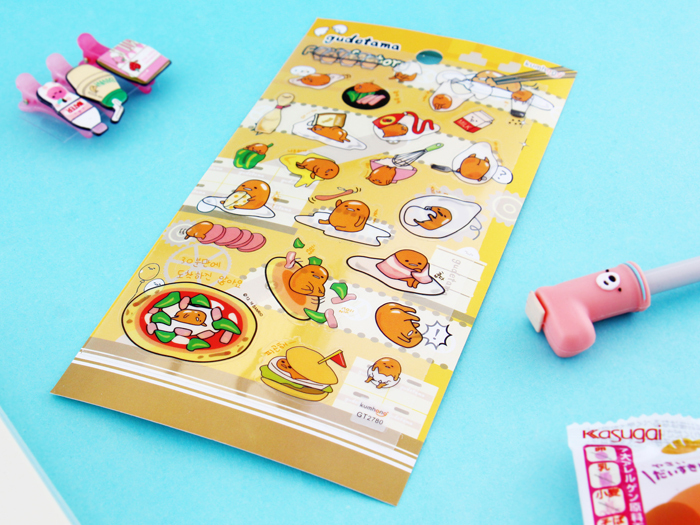 This Gudetama Sticker Set includes many kinds of different stickers of Gudetama playing around with all kinds of foods. ▲ Now you can add a genuine Japanese keitai style to everything by using these lovely blue, yellow, white, and pink Twinkle Jewel Seal Deco Diamonds! 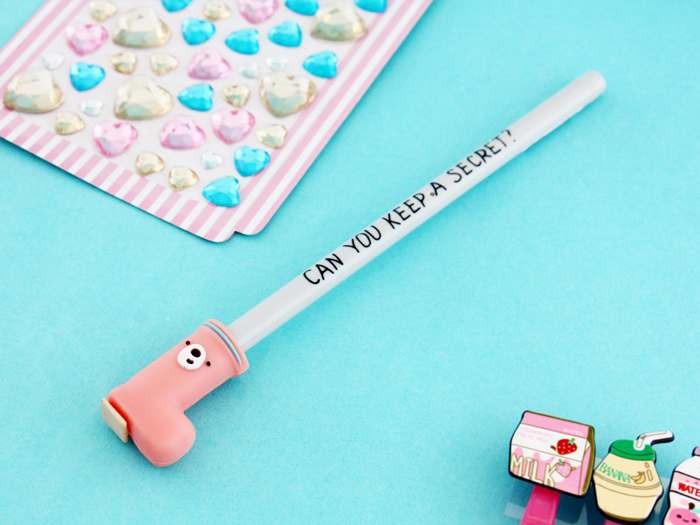 ▲ This pastel-colored Let’s Go Mini Notebook is perfect for keeping notes in a cute way! The covers feature a sweet little girl dressed up as Super Mario, Doraemon, Pikachu or Chibi Maruko-Chan. 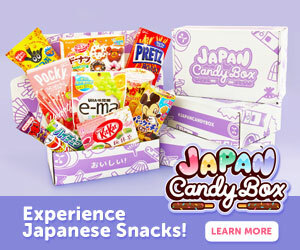 Which one did you receive? 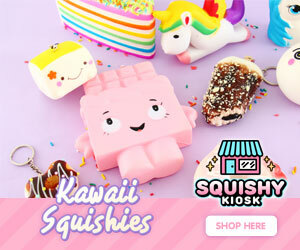 ▲ These fun and colorful Harajuku Food Hair Clips will make your hairstyle unique and kawaii in seconds! ▲ This Rain Boot Ink Pen has a cute rain boot decorated with a bear’s face as a cap! 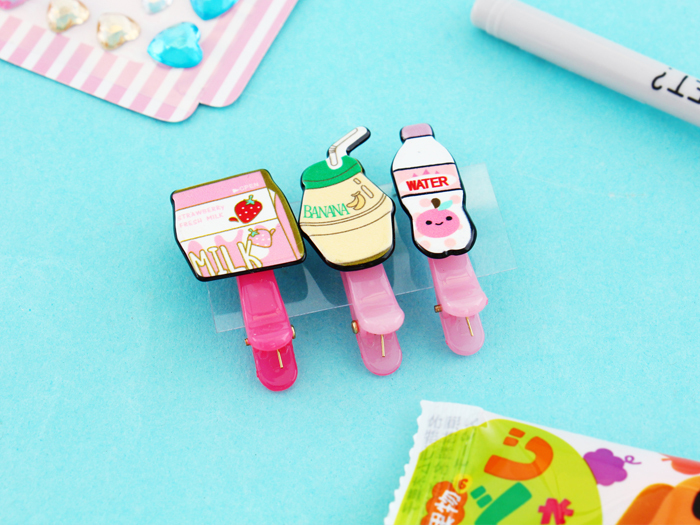 Make your work or school days more fun and kawaii with these cuties! 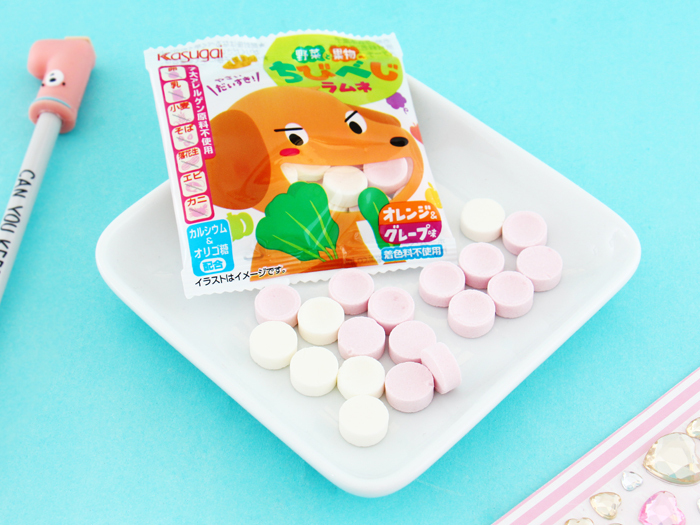 ▲ These pink and white hard Chibi Vege Ramune Candies from Kasugai are made from real vegetable and fruit juice! They taste like oranges, carrots, lemons and grape! 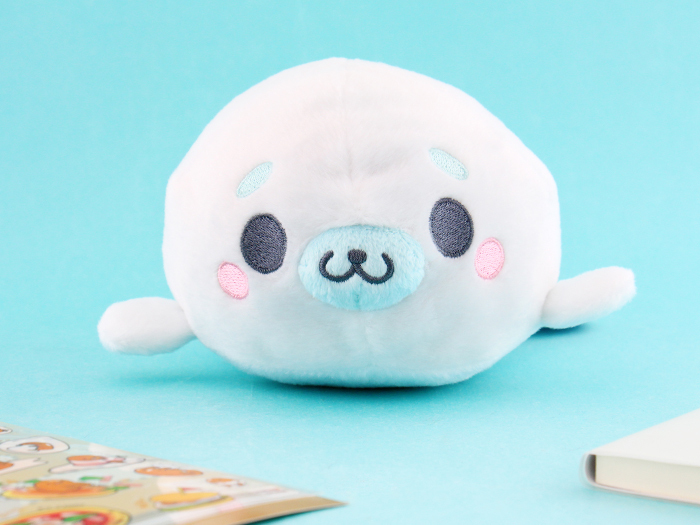 The seal plushie is so kawaii! The seal plushie is adorbs!